A glowing Plutonium-238 sphere. These pellets are used for Radioisotope Thermal Generators (RTGs) – (Credits: US Department of Energy). The use of Plutonium as a power source is still considered the best choice for certain type of deep space missions. The extraordinary scientific results of missions like Voyager, Pioneer and Apollo would have not been possible without nuclear power. Yet, the US Senate Appropriations Committee decided not to fund the administration’s request for $15 million for the Department of Energy to restart production of plutonium-238 (Pu-238) in the 2012 energy and water appropriations bill. 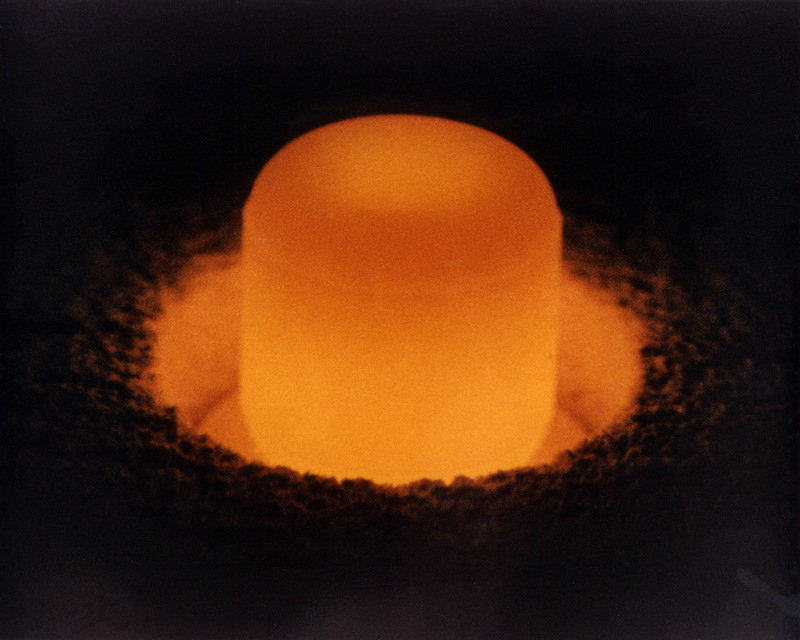 Pu-238 is an isotope used in radioisotope thermoelectric generators (RTGs) for NASA science missions. According to the scientific community, the lack of Pu-238, currently imported from Russia, will make impossible to conduct certain important types of planetary missions. Which is the role of nuclear power in today’s space missions? Which are the safety concerns related to its use in potentially hazardous operations like those involved in a rocket launch? And most important: how are those safety concern addressed in a nuclear powered mission planning? We interviewed Dr. Firooz Allahdadi and Dr. Sayavur Bakhtiyarov from the Space Safety Division, US Air Force Safety Center/SES, two leading experts in safety of nuclear power for space applications. Space Safety Magazine: Which are the main areas of applications of nuclear power systems in planetary missions? Dr. Firooz Allahdadi and Dr. Sayavur Bakhtiyarov: Power generation is one of the most important applications the long-term space missions. Nuclearbased power systems can supply electricity, heat, and propulsion for missions that are well beyond the capacities of solar power, fuel cells, and traditional chemical/explosives methods. SSM: When it is recommended using nuclear instead of solar? FA and SB: For short times and low power levels, chemical/explosive or solar energy can be used to make electricity. However, at high power levels for long periods of time nuclear energy is the only way (at the present time) to produce the necessary electrical power. Currently, Radioisotope Power Systems (RPSs) are considered the only existing reliable power source that can work in the extraterrestrial environment for long periods of time. RPSs are compact, lightweight and very dependable power systems that provide enough power uninterruptedly in space environment. Diagram of a Radioisotope Thermal Generator – (Credits: NASA). SSM: Can you describe the working principle of Radioisotope Thermal Generators (RTGs)? metals, provided the junctions of the two metals are at different temperatures) to power spacecraft, satellites, navigation beacons, etc. A very attractive and practical feature of RTG is that the alpha particle decay process does not require an extensive shielding nor it has any moving parts. The heat from the oxide fuel is converted to electricity through static thermoelectric thermocouples. The RTGs are safe, reliable and maintenance-free, and can provide heat or electricity for several decades at very harsh conditions, especially where solar power is not feasible. SSM: Which notable space missions have been made possible by nuclear power? FA and SB: So far 45 RTGs have powered 25 U.S. space missions (Apollo, Pioneer, Viking, Voyager, Galileo, Ulysses and New Horizons) as well as many civil and military satellites. For example, the Cassini spacecraft was equipped with three RTGs providing 870 watts of power during the exploration of Saturn. The Voyager spacecraft has been transmitting pictures of the distant planets for more than 20 years, and is expected to send signals powered by their RTGs for another 15-25 years. 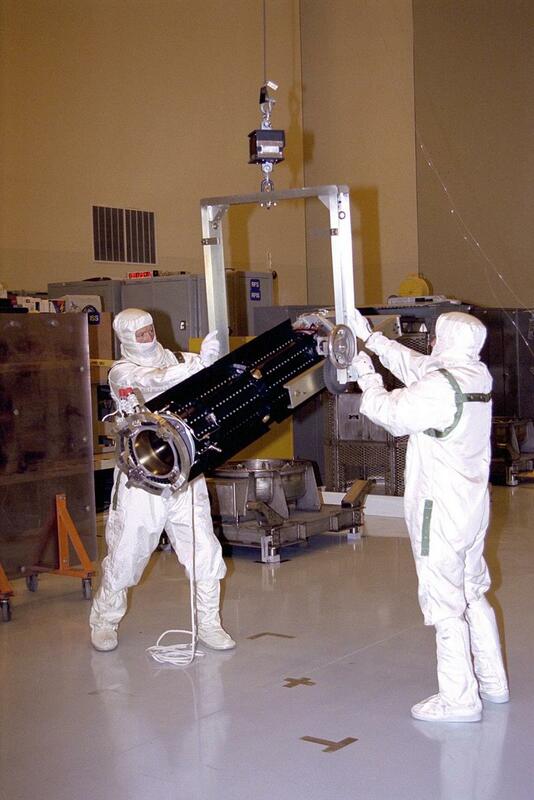 The Galileo spacecraft launched in 1989 was equipped with a 570 watts power RTG. The Viking and the Rover Landers were both equipped with RTG for their mission to Mars in 1975. The Mars Science Laboratory Rover “curiosity” which is scheduled to launch in November 2011 will be equipped with MMRTG (Multi-Mission RTG). Russia concentrated its efforts mainly on fission reactors for space power systems. Between 1967 and 1988 the former Soviet Union launched 31 low-powered fission reactors in Radar Ocean Reconnaissance Satellites (RORSATs) during the Cosmos missions. SSM: Which are the risks involved in using nuclear power in a space mission? Population exposure due to aerosolized particle dispersal. Prelaunch and Early Launch are the flight phases where all these four factors may occur. Traditionally, the Early Launch accidents hold the highest risk (approximately 99% of the total risk), and the probability of release of radioactive material in this phase is around 1in 360. Jet Propulsion Laboratory workers handle a radioisotope thermoelectric generator (RTG) for the Cassini spacecraft mission to the Saturnian system – (Credits: NASA/JPL). SSM: How nuclear safety is handled during the launch to orbit cycle? FA and SB: Even with the protective containment systems, the integrity of the RPS may be compromised in the case of accident causing radioactive material release into the biosphere. To evaluate this risk, the U.S., for example, has established the Interagency Nuclear Safety Review Panel (INSRP) for any RPS-powered mission. During this process the Department of Energy (DoE) prepares a detailed Safety Analysis Report (SAR) to evaluate radiological risk for each mission. The Final Safety Analysis Report (FSAR) is reviewed by the INSRP. The INSRP coordinators conduct an independent safety review and evaluation of the nuclear risk for each RPS involved mission. The INSRP is supported by technical experts in the following working groups: Launch Abort, Reentry, Power Systems, Meteorology, Biomedical and Environmental Effects, and Risk Integration and Uncertainty. The INSRP then prepares a Safety Evaluation Report (SER) which identifies and characterizes probable accident scenarios, including the probabilities that Plutonium dioxide will be released. NASA submits both FSAR and the SER to the President Office of Science and Technology Policy (OSTP) to obtain the launch approval. The launch approval process in U.S. typically takes three years. Separate from the INSRP’s independent analyses, every launch sites in U.S. develops a specific contingency plan to manage hazards associated with a post-crash event. SSM: How a possible launch failure is handled? FA and SB: Launch, orbital and final trajectory insertion, and space flight involve certain risks of failure. The most important mission phases are launch and ascent, when significant quantities of propellants are present. The accidents during these phases can damage an on-board nuclear power generation system due to the blast overpressure, thermo-mechanical shock, fires, and fragment impact. It is estimated that the probability of catastrophic launch accidents with nuclear release is a few percents. The space nuclear power generation systems are designed to withstand such accidents without presenting risk to the population and environment. For example, the early versions of RTGs were designed to burn upon entering the Earth atmosphere. Currently, the design requirement for RPSs and Radioisotope Heater Units (RHUs) under accidental reentry conditions has changed from complete breakup and scattering at high altitude to preservation of the fuel through the reentry. 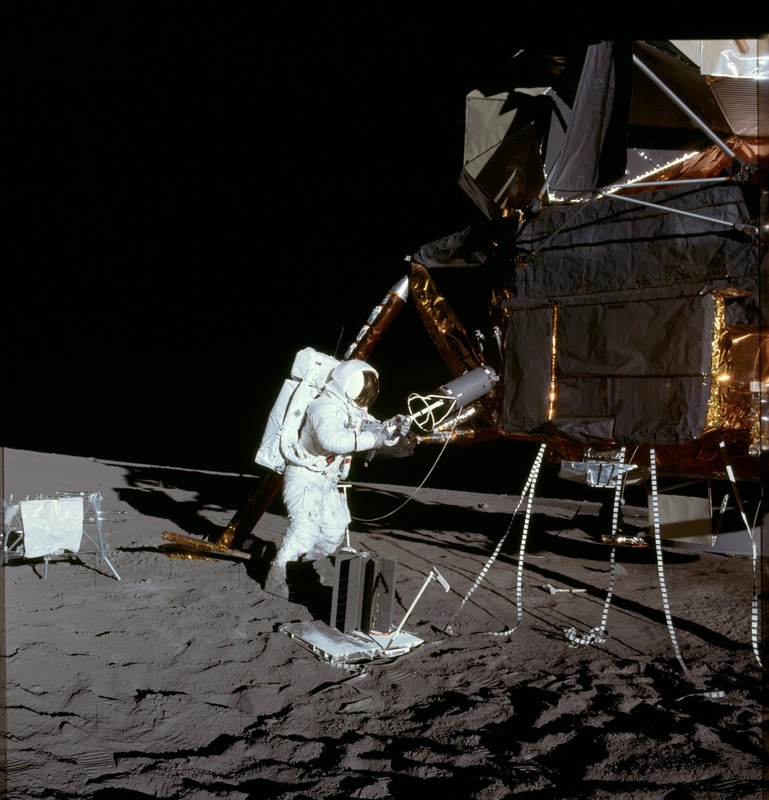 Astronaut Alan Bean (Apollo 12) put the Plutonium 238Pu Fuel into the SNAP 27 RTG. A similar device reentered Earth atmosphere at the end of the ill-fated Apollo 13 – (Credits: NASA). SSM: Which are the most dangerous accidents occurred so far involving a nuclear powered mission? Which consequences they produced? FA and SB: The first serious failure occurred in 1964 when the TRANSIT 5BN-3 navigational satellite with 2.1 pounds of plutonium-238 failed due to the computer breakdown. The satellite and its SNAP-9A RTG power supply reentered the Earth’s atmosphere and completely burned up as the system was designed. Approximately 20,000 Curies of plutonium-238 were released into the upper atmosphere spreading over the vast space. Even though this accident did not cause a health threat to the Earth population, it marked the fact that an uncontrolled release of radioactive material into the biosphere is a reality. There are many operations that may successfully prevent the release of radioactive material into the atmosphere. In 1968, approximately one minute into the launch of the nuclear (two RTGs) powered NIMBUS B-1 meteorological satellite, the Range Safety Officer at Vandenberg Air Force Base in California (U.S.) destroyed the launch vehicle by command destruct action to avoid errant launch trajectory. The launch vehicle, upper stage, and spacecraft were completely destroyed. However, the two on-board SNAP-19B2 RTGs survived undamaged. The radioactive plutoniun-238 fuel was not released and it was used on a following space mission. In April 1970 the APOLLO 13 mission was terminated on the way to the Moon due to the explosion of an oxygen tank in the Service Module. A SNAP-27 RTG was on the board to power APOLLO 13 Lunar Lander. The Lunar Lander with the SNAP-27 RTG returned to Earth with the Crew Reentry Module. 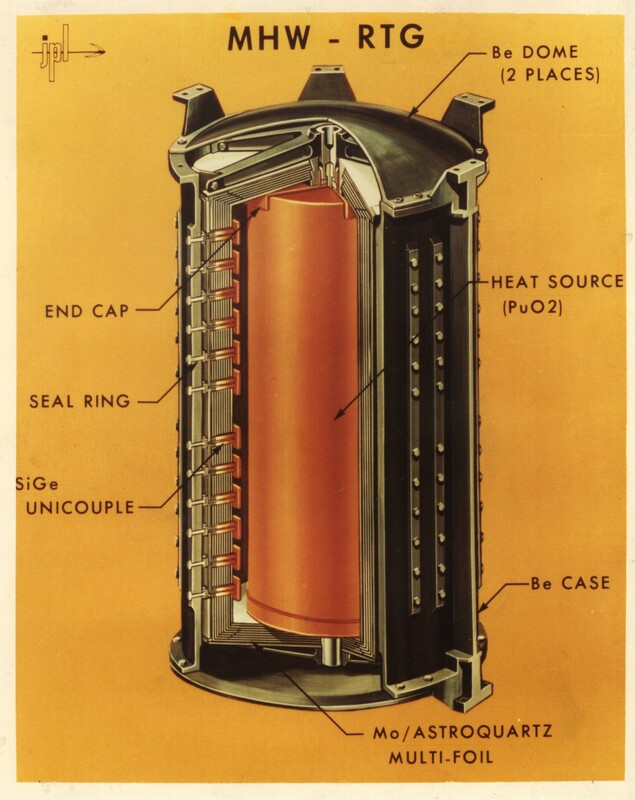 The SNAP-27 RTG survived reentry undamaged, with no release of the radioactive material. The RTG plunged into the South Pacific Ocean where it remains now. The first Soviet accident involved Cosmos-954 in 1977. The Cosmos-954 RORSAT operated in low Earth orbit for 43 days. At the end of its operational mission, the BUK reactor successfully separated from the spacecraft, but failed to boost to its intended orbit. Consequently, the reactor reentered the Earth’s atmosphere and landed in the Northwestern Territories of Canada (fortunately, in an unpopulated area) in January, 1978. The BUK reactor was designed to burn-up on reentry, but reentry burn-up of the reactor was not complete. About 65 kg of radioactive debris and nuclear fuel was recovered from the crash site. The second Soviet accident involved Cosmos-1402 on August, 1982. During this RORSAT mission, an anomaly occurred and the spacecraft automatically separated into three parts. The BUK reactor has reentered over the South Atlantic on February, 1983. No radioactivity was detected from this reentry or impact. After the Cosmos-954 accident the design of the BUK space reactor was modified to ensure its intact reentry. The third Soviet space nuclear accident involved Cosmos-1900 launched on December, 1987. On May, 1988 the Soviet Union reported that it had lost a communication with the Cosmos-1900 RORSAT. In September, 1988 the BUK reactor automatically separated from the spacecraft and boosted to a higher orbit. Saturn eclipsing the Sun, as photographed by Cassini. Missions like Cassini would have not been possible without RTGs – (Credits: NASA/JPL). SSM: What are the main lessons learned from past accidents? Budget and Schedule: Budget and mission schedule must not take priority over the safety concerns. Technical questioning: Employees must be encouraged to report safety concerns. Staff qualification: Strong technical competence combined with continuing technical and management training is crucial for complex missions. Prevention rather than Correction: Safety efforts must focus on preventive actions rather than corrective ones. Planning rather than Investigation: Safety efforts must focus on planning rather than investigations of accidents. Critical self-assessment: A critical self-assessment must be accomplished even for the successful mission. Risk communication: It is important to prepare and make available the mission risk information as early as possible before any protests appear. The information must be clear, accurate and receptive. The spokesmen must effectively communicate with the concerned public. Independent outside experts must express their opinions in the media. In the feature video, below, “New Mars Rover Powered by Plutonium”. Download and share the Fall 2011 issue of the Space Safety Magazine.